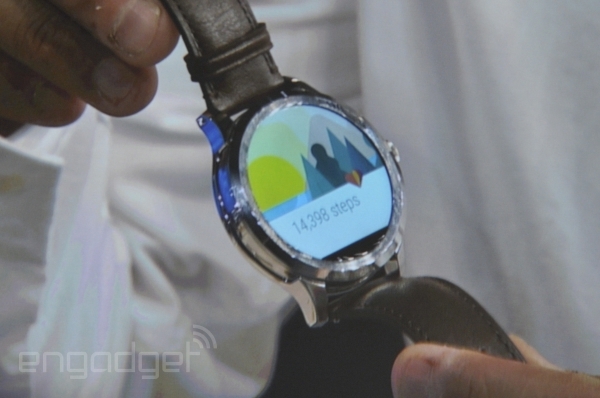 Android Wear watches have come a long way in such a short period of time. Though the first wave of devices included the plastic, Pebble-looking LG G Watch and Samsung Gear Live, these days we have the LG Urbane and the Huawei Watch. 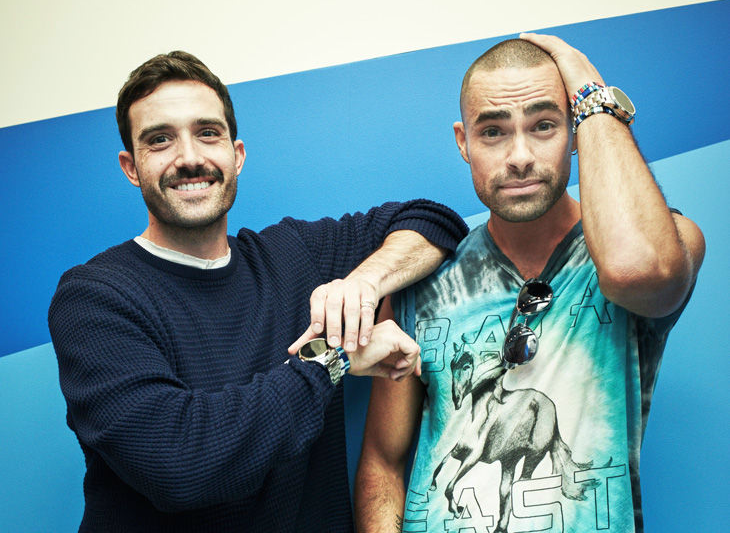 Soon we will also have the Fossil Q.
Fossil had models sport three new Fossil Q devices at the Baja East and Dion Lee fashion shows in New York last week, because unlike the other guys in the Android Wear game, it's an accessory-maker first. The first two products—a connected bracelet and a connected watch sans display—don't have anything to do with Wear. It's the third one that has our attention. But this isn't the first time we've had a look at the smartwatch that Fossil is making in conjunction with Intel. However, if these pictures are to be believed, the watch appears to have shed its Moto 360-style flat tire. 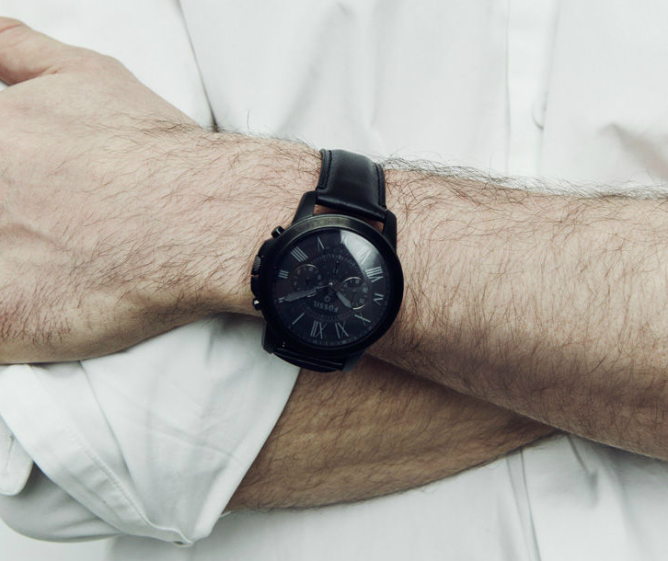 As some readers have pointed out, the watch pictured below may be the connected Fossil Q without Android Wear. The Wear-equipped option may still have its flat tire. Unfortunately, the source post doesn't provide much in the way of details. We are reaching out for more information. A Fossil representative has clarified that only the image at the top of this post shows the Android Wear watch, and we can't tell from that if the flat tire remains (but probably yes). We do, however, get a look at the bezel and bands. This second image is the Fossil Q sans digital display. The Fossil Q as originally shown. Fossil says its connected accessories will be compatible with Android, iOS, and Windows software (Update: Fossil reached out to us with word that Windows phones will not be supported). All three can track movement, manage notifications, and come with a companion app. Look for the Fossil Q online and in stores this holiday season.